Hey Subscribers, welcome to today’s English lesson ( explained through Hindi). 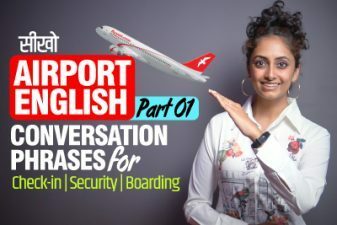 In this spoken English lesson you would learn the difference between the words ‘Say & Tell’ and their past form ‘Said & Told. These English words are often used in English speaking conversation and are often confused by English learners. 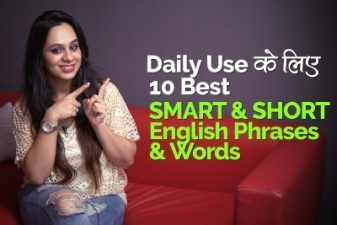 In this Spoken English lesson by Sonia, she brings out the difference between these words. Watch the lesson carefully to improve your spoken English and speak fluent English. I did not say anything to her. आप कुछ क्यों नहीं कहते हैं, क्या आप जूते पसंद करते हैं? Why don’t you say something, did you like the shoes? He said that he is leaving early today. I said that I don’t like this dish. Please tell them that we will come for lunch on Sunday. Tell Seema that she should get ready by 10. वाइ डॉन’त यू टेल अज़ विच मोवी आर वी गोयिंग टू वॉच? Why don’t you tell us which movie we are going to watch? She told me to call tomorrow. I told him to book flight tickets. She told me that she will reach by evening. I told him to work on this project.